The Man Who Saved The World? Take a look at the face in the picture. It is a man you have possibly never heard of. His name was Vasili Alexandrovich Arkhipov and he quite possibly saved your life or, if you were born after 1962, those of your parents, so enabling you to be born. 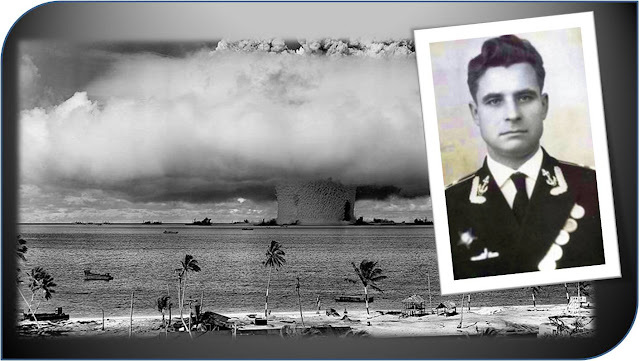 He personally stopped the launch of a nuclear weapon which could have led to Armageddon between the word’s then superpowers, the USA and the USSR. What decision led this farm boy from a small farm near Moscow (which is many miles from any coast) to become a sailor is not recorded. However, he spent a distinguished naval career mostly in submarines during the Cold War. 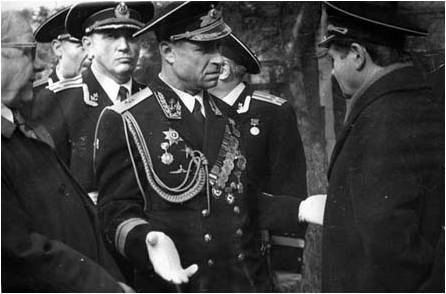 Arkhipov had already had one scrape with history before the events of 1962. The year previously he had been second in command of a K-19 submarine, a Hotel class nuclear sub which was prone to problems. On American Independence Day 1961 the sub was south of Greenland when an explosion almost disabled the submarine. It was only the self-sacrifice of seven members of the crew which resulted in their deaths that stopped the submarine from blowing up. These crew members managed to improvise a circuit which enabled the reactor to cool. 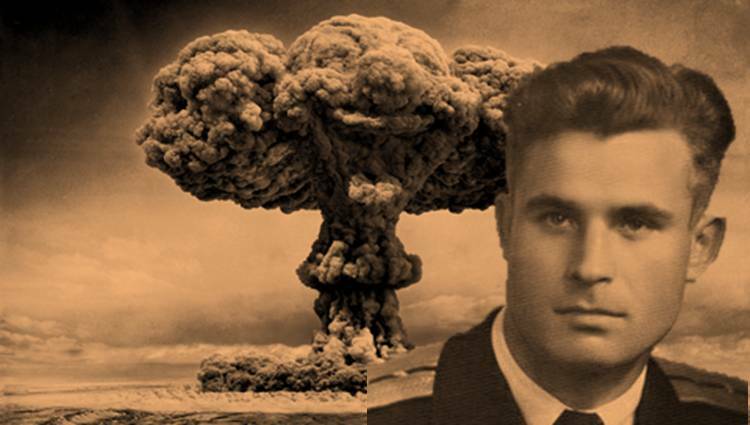 However, the submariners had been about to riot – in fear of their lives from radiation poisoning - and it was only the cool headedness of Arkhipov and his personal backing of the Captain that saved the sub from a mutiny. This would have made most people ready and willing to head for the hills and never see the inside of a submarine again. Not Arkhipov, however and this was just as well. The following year he faced his moment of truth – one which had he not held his cool might have led to the end of civilisation as it was then known. In the October of 1962 Arkhipov was again deputy commander of a sub carrying anti-ship nuclear torpedoes, this time the Hotel class ballistic missile submarine B-59. The submarine was off the coast of Cuba and the Missile Crisis was at its peak. 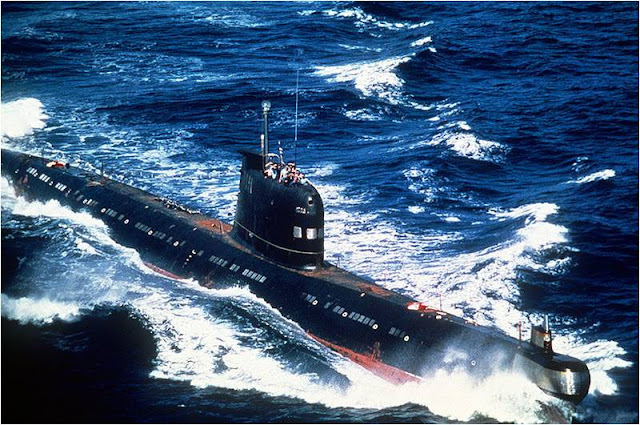 The US had established a naval blockade of the communist island and Arkhipov's submarine (along with three others) was ordered to sneak through and help set up a secret submarine base there. So began a deadly game of cat and mouse which involved US destroyers dropping depth charges to try and flush the submarines from the hidden reaches of the sea. 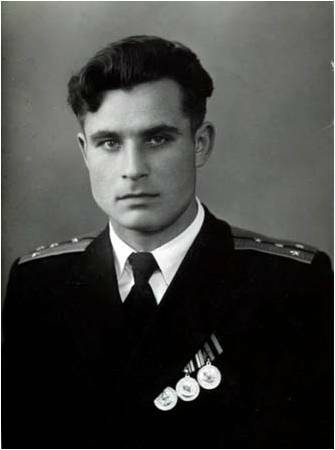 Arkhipov’s submarine was trapped by the aircraft Carrier USS Randolph and eleven US Navy Destroyers. The depth charges they dropped were practice ones, with the intent of driving the submarine to the surface. Such was the bombardment that finally Arkhipov’s submarine surfaced. It returned to the USSR with its metaphorical tail between its legs. 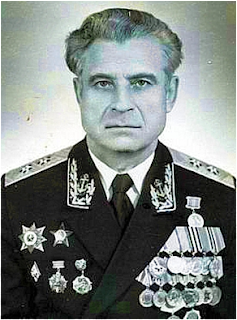 Arkhipov continued in the service of the Soviet Navy, rising to the rank of Vice Admiral (below) and retired sometime in the mid 1990s. He died in 1999. Yet what was not discovered until years later were the activities on the submarine before it surfaced. The Captain of the submarine, his nerves shot to pieces by the bombardment had ordered the assembly of one of the nuclear torpedoes and had been preparing to take a shot at one of the destroyers. He believed that a war must have already started. Moscow had left the decision to use one of these nukes with the captain of the submarine but with a proviso. If he felt the need to use the weapon the next two officers in terms of rank had to agree to its use as well. The political officer on board said yes. The Executive Officer, Arkhipov, said no. As such the shot that could have triggered a nuclear war never happened. One can only imagine what the world might be like today if Arkhipov had been the third to utter ‘yes’ on that fateful day.